Bighorn Forge, Inc., a blacksmith shop, is located just north of Milwaukee, in the town of Kewaskum. Blacksmith Dan Nauman was born in Milwaukee, and established Bighorn Forge in Kewaskum in 1990. Much of Dan’s work as a blacksmith can be found in the Milwaukee area, in surrounding Milwaukee suburbs, and throughout Wisconsin. Here in Kewaskum, Dan designs and forges custom metalwork, including steel, bronze, stainless steel, and copper into classic as well as contemporary forms. Gates, railings, lighting, funiture, fireplace equipment, sculpture, restorations, reproductions, and more are forged with a hammer, coal fire, and anvil. The Captain Frederick Pabst Mansion, Villa Terrace Decorative Arts Museum, the Herman Uihlein Mansion, Lynden Sculpture Garden, the estate of former Governor Patrick Lucey, in Miwaukee, WI; The Executive Residence in Madison, WI; Bjorklunden Lodge in Baileys Harbor, WI, and many more. Though most of Dan’s work comes from the Kewaskum shop, he also operated shops in Baileys Harbor, WI from 1995 to 2002, and in Cedarburg, WI from 2000 to 2006. Dan has won international awards for his design and workmanship for forged (blacksmith works) in Milwaukee, and Port Washington, WI. Those pieces were a chandelier made for the Captain Frederick Pabst Mansion, and a driveway gate for a private residence in Port Washington. Looking for a Milwaukee blacksmith? Blacksmith Dan Nauman will be happy to make the short trip down to Milwaukee, or for that matter, anywhere in Wisconsin and northern Illinois to meet with you at your home or place of business to discuss your needs and wishes. 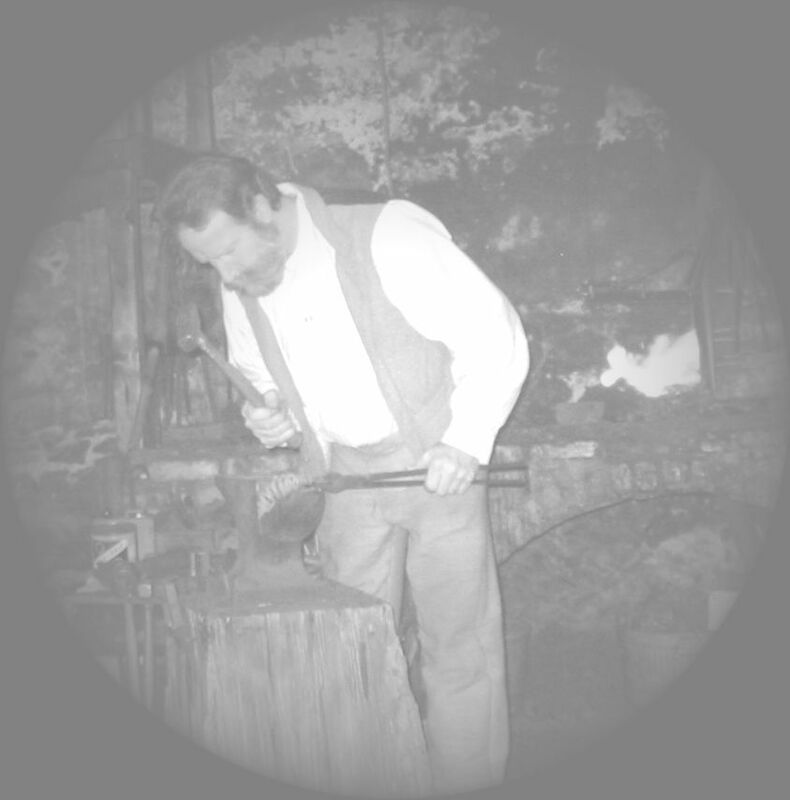 Dan is also available for teaching blacksmith workshops, blacksmith classes, plus lectures on forging, throughout the United States and Canada. He has provided these services for over 16 years at conferences and museums nationwide. See Bighornforge’s web-site at http://www.bighornforge.com , which can be clicked on under the blogroll of this blog’s main page. And I am truly looking forward to hearing from you. My son got a forge for Christmas, he wants an anvil but I have no idea as to where to purchase one. I would appreciate any info you might have.